If you spend two years in close proximity to wildlife, developing strong bonds to the oddest animals - from squabbling hyena pups to wallowing warthogs - is perhaps inevitable. Despite that, nothing had prepared us for our meeting with Nicky. Nicky was, at the time, only six months old. Born blind, his mother unable to care for him, he behaved much like other young boys – sleeping under his favourite blanket, playing with various members of his (adoptive) family, and happy as long as there was no rain or thunder to disturb his peace. But unlike most other youngsters his age, Nicky – being a black rhinoceros – weighed over 120kg, and was a bit of a hazard (to himself as well as to others) during his playtime. 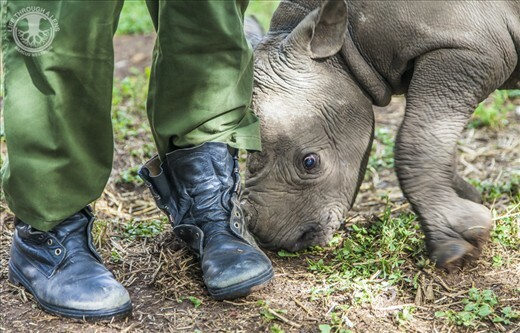 Luckily the amazing people at Lewa Wildlife Conservancy had thought of this, and padded his entire play-pen to make it Nicky-safe. For a wildlife photographer used to seeing animals through a 500mm lens, Nicky presented a few challenges. My first mistake was leaving my wide-angle 16-35mm lens behind – I didn’t realize that Nicky would still be napping, and trying to fit me and my cameras between him and the walls of his bedroom – lines with hay bales for insulation and protection – was a bit of a challenge, especially in the low light. The second challenge was Nicky’s sometimes rough playing. In order to capture his personality, and the world as it was from his level (despite the fact that he was unable to use sight to explore), I had to get down on the ground. And quickly get out of the way whenever Nicky came barging past, looking for someone to push up against. The experience did remind me of how important it can be to seek out new and different perspectives, whether it is to capture the true nature of a scene or simply to obtain an original take on something that has been photographed countless times before. Nicky will be familiar to anyone who watched BBC’s Africa series – a few months younger then than when we had the pleasure of meeting him, Nicky had a famous encounter with David Attenborough during the show’s last episode. 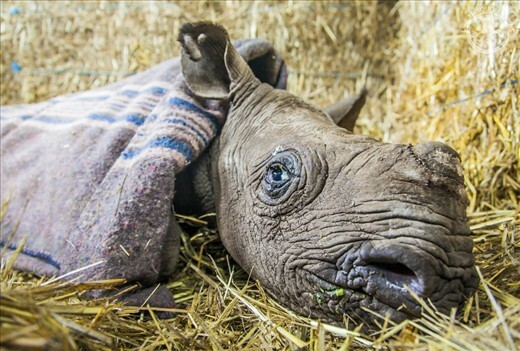 Nicky’s blindness is non-reversible, and he will need to be cared for at Lewa for the rest of his life. 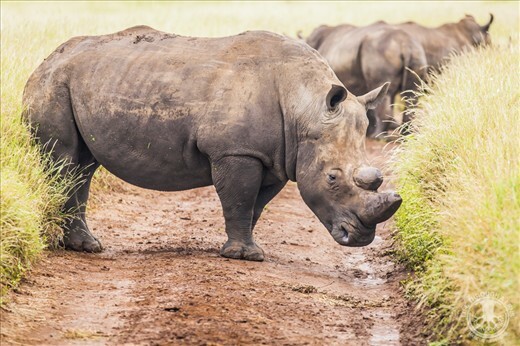 Fortunately for him, Lewa is a sanctuary for rhinos in Kenya, with plenty of people fully committed to the future of these magnificent – but by poaching decimated – animals. Staying in the hobbit-like dwellings at Lewa House – run by Calum and Sophie, the great granddaughter of Lewa’s original conservationist – we had the privilege of spending some days with Nicky, his full-time carers, and the wild rhinos of Lewa Wildlife Sanctuary. 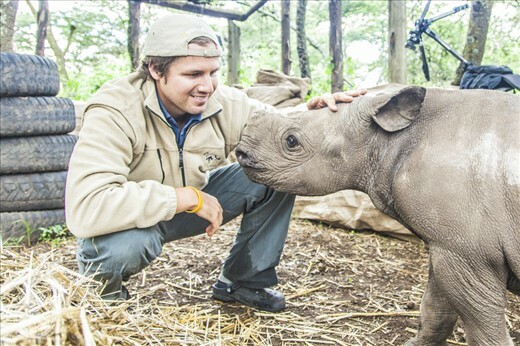 The plight of the rhino is increasing by the day, and choosing to support worthy projects when we travel is a great way of giving back and helping out. Never underestimate the effect that your contribution, no matter how small, can have.